When you wake up in the morning and the first thing you see is under eye puffiness and dark circles, it can be enough to make a woman scream. But that doesn’t have to be the answer. You can reduce puffiness by reaching for a whole face caffeine dermis mask. Another great example is one designed specifically for under the eyes like the Perk Up Your Eyes mask from Callysee. How Does a Caffeine Reduce Puffiness? The caffeine in your coffee does more than just taste good, it also wakes you up. When applied under the eyes, in the form of a mask, caffeine can also help you look younger and awake. With Perk Up Your Eyes caffeine dermis mask, the delicate skin under your eyes is nourished with an organic green coffee extract and an aloe vera leaf extract as well. Together, these work to reduce the look of wrinkles, swelling and dark circles. Coffee bean extract can help to increase collagen production, and Hyaluronic acid also helps to lessen the look of wrinkles, as it puffs up your skin. 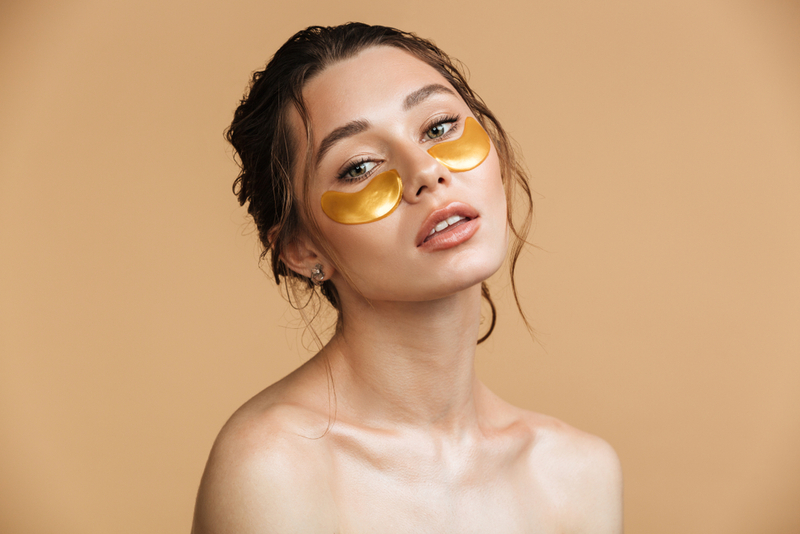 Because caffeine pulls moisture away from fat cells, in a caffeine dermis mask, it can help to calm the puffiness that can add years to your appearance. The antioxidants in coffee can help reduce the appearance of dark circles. How Does a Caffeine Dermis Mask work? In a skincare regimen, caffeine is typically applied to the skin. This comes in the form of a mask, a facial scrub, maybe even a moisturizer. Caffeine is a substance that can be absorbed through the skin. And that’s par of how these masks work to make you look younger and more awake. READ: Can Caffeine Increase Skin Moisture? When used in skincare, it can increase a person’s overall caffeine intake, so those who are sensitive should take care with caffeine infused beauty products. If you enjoyed learning how to reduce puffiness, continue reading How can I Stop Neck and Chest Wrinkles?